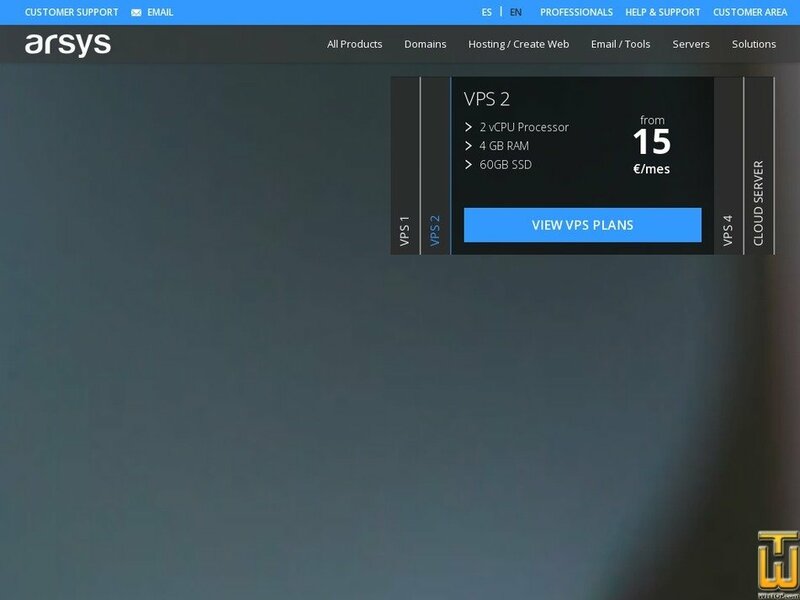 See also original VPS 4 plan location on their website! With all the resources for your project. Select the hardware configuration that best adapts to your needs and we will handle setting it up for you in record time. Enjoy the most powerful virtual servers with up to 8vCPU, 16 GB of RAM, 200 GB of space, unlimited data transfer and the latest data storage transfer included in the default settings. The disks are SSD or solid state. The best performance for your project. Enjoy all of Arsys' technology and experienced applied to your virtual server. We make all of the incoming and outgoing traffic that you need easier at the fastest speed available without any additional costs. Enjoy version Plesk Panel 12.5 completely free. In addition to configuring your server, Plesk allows you to manage and run an unlimited number of Domains and websites. Price: € 33.33/mo. VAT 21% exc. Price: € 45.83/mo. VAT 21% exc.